Following a record-breaking year for rail volume, the Quonset Development Corporation has received a $400,000 grant from the State's Transportation Improvement Program. The grant will improve rail crossing safety which is a top priority at the Park. Audible signals and lights will be added at an "at-grade" rail crossing on Romano Vineyard Way to increase safety. Additionally, a segment of track will be upgraded. "Quonset's extensive rail infrastructure is a major asset to the Park. Thanks to the work of the Seaview Railroad, it's also a key business attraction tool," said Steven J. King, Managing Director of the Quonset Development Corporation (QDC). "These improvements will help support the growth and development of the over 200 businesses here at Quonset, as well as the safety of their employees," he added. Construction is scheduled for Spring 2018. The J. Goodison, Co. facility at Quonset is able to service large vessels with unique needs thanks to their 820-Metric-Ton Mobile Boat Hoist. 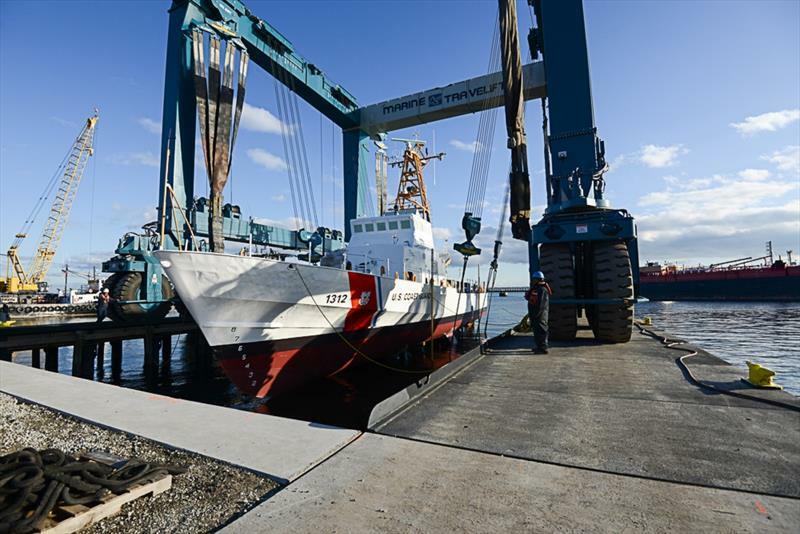 Recently, the shipyard attracted the U.S. Coast Guard cutter Sanibel, a large vessel in need of regular repairs. The Sanibel crew was able to complete a replacement of running gear such as propellers, shafts, and bearings in addition to other critical maintenance during their dry dock stay at Quonset. 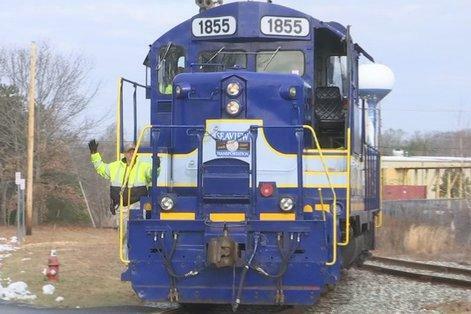 The Seaview Railroad, Quonset's short-line rail provider, has broken its annual record for rail car volume at Quonset Business Park. Over 6,810 carloads were transported at Quonset in 2017. 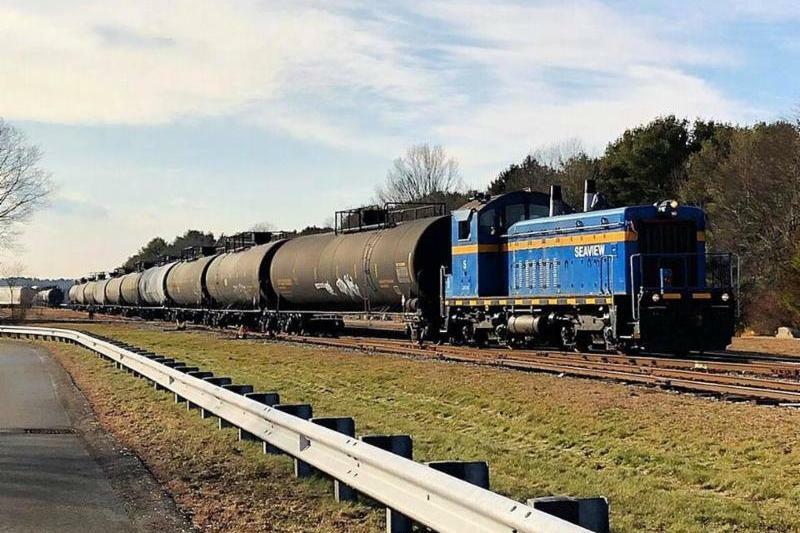 The rail cars hauled products shipped from Quonset businesses, products arriving for distribution throughout New England, and shipments to and from the Port of Davisville. Eric Moffett, president of the Seaview Transportation Company and Railroad, and Steven J. King, Managing Director of the QDC were onsite at Quonset with NBC 10's Bill Rappleye to share the good news. Quonset's Flex Industrial Campus is beginning to take shape. The steel framing of the QDC's first flex industrial office building is complete. 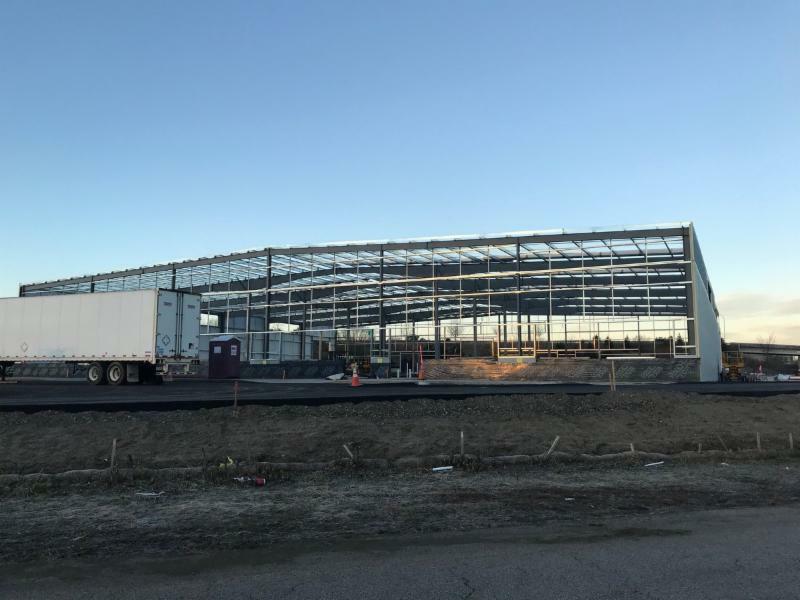 Once completed, each flex industrial building will range from 25,000 to 50,000 s/f and will contain office space, restroom facilities, and high bay (24’ clear) manufacturing/ assembly/ warehouse space. "Park visitors entering through Route 403 won't be able to miss the brand new Flex Industrial Campus," said Steven J. King. "I'm thrilled with the progress and look forward to leasing this space to new and growing businesses." The building is slated to be ready for its first tenants by late Spring 2018. 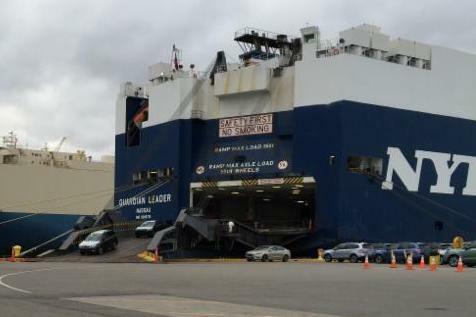 Port of Davisville: Over 26,000 Vehicles Imported in Nov.
Quonset’s Port of Davisville is Rhode Island’s only public port, a major engine of economic activity for the state and is consistently ranked among the top auto importers in North America. The Port achieved a record breaking month for auto imports in November with a total of 21 ships unloading over 26,800 vehicles. This beats the previous record from December 2015 by more than 11%. 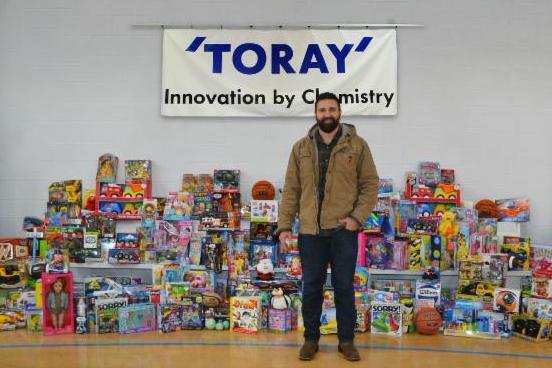 Eighty- five Toray Plastics (America), Inc.employees and special guest Rob Ninkovich, a retired New England Patriots linebacker, were on hand to celebrate the spirit of the season. Last month Toray held its 15th Annual Toys for Tots and Navy Caring and Sharing Breakfast and collected more than 300 toys for the U.S. Marine Corps Toys for Tots program and $2,300 for the Newport Naval Station’s Caring and Sharing program.